There are many opportunities to make money from home by writing and selling packaged software applications. However it is a cliché that there is no easy way to make money and this is as true of software as of anything else. It takes a lot of time to write programs. It takes a lot more to make them work properly. Finding most of the bugs takes time, finding almost all of them takes ages. Bugs surface for months or even years after software is released. If you don't want a bad reputation they have to be fixed, and quickly. Persuading people to use new software is one of the hardest jobs going. It can take months, sometimes even years before the market accepts a new software package. There is no single way to make money by selling software. You may, for example, have an idea for an app for mobile devices. You may have software written for your company that you would like to sell to other companies, or you may be writing a commercial package from scratch. Whilst in some ways, these are very different, many of the issues are the same. This book gives a guide to what is needed to make successful sales. Some of it is written for people who have not had formal training in software design or programming. On the other hand, for the experienced developer, there are sections on the non technical matters such as marketing and charging. As a complete novice in the field of computer software development I must say that I was very fortunate to stumble upon this book. The author not only provides all of the necessary information for getting a software idea off the ground but he also describes the steps involved in getting it to production in very simple language. From my extensive search of the web I could not find any other source of ;literature which looked at the entire process from conception of computer software right through to sale of the product. Prior to reading this book I had already put a considerable amount of time and effort into developing my own bespoke computer software without actually really knowing what the next steps would be in trying to sell it. 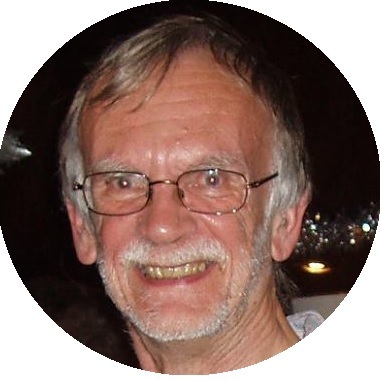 Having since read John's book I have now taken a step back from the development side of the software and am now focusing my efforts more on the marketing strategy for the product. I really must say that this book has provided me with valuable direction that I really needed at the current stage of my product development. I would recommend this book to anyone interested in developing software and advise them to read it before starting out. 5.0 out of 5 starsDon't write another line of code until you have read this book! If you are thinking of developing a software application or have already started and have a shed load of code, stop now, buy this book and read it. If you have done little or no market research, have no list of user requirements and have no idea about the user interface or functional design you are heading for serious disappointment if you aim to sell your software application. There are many books about product and software development processes but they often don't fully explain why a process is needed in the first place. This book is different. It is short and focuses on the key issues - you can read it in a few hours. 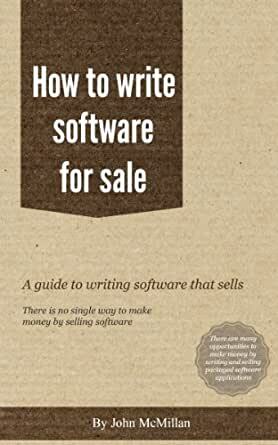 The author presents the important aspects of writing software that sells in a clear and uncluttered style. Moreover, he identifies modes of marketing, selling and supporting software applications. In general, developers of software tend to concentrate on the technical aspects of their project and perhaps are not as disciplined as they should be. This book will hopefully persuade them that success requires disciplined development. John McMillan did a great job of explaining software and the process of writing it for sale. There are so few books on this specific subject; there are books on selling there are books on writing software, but none on the subject specifcialy of writing software for sale, this is a great book. Were working on writing software and I was conserned the business plan needed some more work, this book helped us get this on track and we are going ahead with a project that I may well have shelved if it was not for this book and the advice it gives. This is an excellent introduction to the business of software application development and marketing. The author is clearly very knowledgeable and experienced in the field. He presents information and ideas clearly, without resorting to jargon. It is well worth the price of the download. An excellent guide - apart from assisting software developers working now, it should be especially useful to those studying in computer related fields. It asks the questions that most software develops forget! The ones that should be answered before staring.